People just want to throw crap at Suyin. That's all', because really she never used child soldiers. My only complaint is that she put her children in the line of fire. If I were a father I wouldn't do it, but even then I can understand why she did it. I just love they skimmed over Su Yin's child soldier truce breaking assassination plot. Even Korra admitted Kuvira was within her rights but they have to fight because lol!plot. And how much you wanna bet it isn't mentioned again? They sure as heck didn't tell Tenzin. Wing and Wei were approx 16 in Book 3. Now what is 16+3? NINETEEN. They're NOT child soldiers, when you're 19 in real life, you can serve in the military, at least in the US. I don't think Omninaut is trying to argue the twin's age, but that they're her children and he/she feels that it's wrong for Suyin to take them to help kill someone. So what if they're her children? She should be okay with bringing someone else's adult sons on a mission and not her own? She gets flack for bringing two grown men on a co-op stealth mission, but nobody bats an eye at Hakoda and Tyro bringing their young teenagers into battle with them? That's a bit of a double standard. If your home is threatned, it is suddenly wrong to assist your mother to save it? Again child soldiers(as in child soldiers in Uganda) are FORCED. It kind of is double standard. I mean, Sokka was 16 (which at the time you were considered an adult that could make their own decision) and Wei and Wing are at least 18-20 years old (the new age for being an adult). I am still falling to see what Omimnut is arguing here. The twins are adult that chose to fight back with their mother. They are not child soldiers so please stop saying that. Su is Book 4's Mako. Some people are now looking for the craziest reasons (that don't make sense) to dislike one character. Heil das Mutterreich über alles! When her countrymen were being ravaged by bandits and starved of all necessity, Su Yin closed herself off in her private paradise; built on criminal funds she gained after escaping justice due to to cronyism. And as the Earth Kingdom burned while Su Yin lay back sipping Kalenutsco, Kuvira answered the call of the people that Su Yin callously ignored. 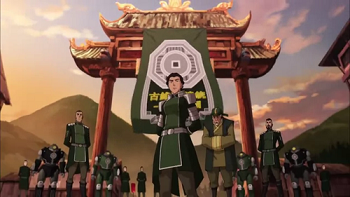 Kuvira, along with the best and brightest of Zao Fu who all left Su Yin by choice, then purged the bandits and established order, but rather than return to the status quo of the Earth Queen, she advanced the states, giving railines, running water, satomobiles and a better quality of life for the people, all while showing mercy by reforming the bandits who were victims of circumstance. And then rather than hand over the states who were legally and consensually signed over to her by contract to Wu,the pompous noble who had earned nothing and done nothing for the Kingdom, she instead did what was best for her people. Despite the protests of the Western Powers who were poised to take over the Earth Kingdom (and its ore)via Advisers and a Puppet Monarch who admitted he wouldn’t do anything for the country. And then when Su Yin, decided to ignore the government, hoarding her advanced technology and wealth in her self-made hypocritical matriarchy, Kuvira still showed mercy; rather than just taking down the insurrection she instead offered a chance for peaceful deferment to the government. Even the Avatar, who Su Yin in her bloodthirst had wished to destroy the government forces and Kuvira, listened to reason and set up a truce. A truce that was broken when Su Yin snuck into Kuvira’s camp in the dead of night like coward and tried to kill Kuvira in cold blood with her own two children no less. And even THEN Kuvira’s shows mercy, with this very clear capital offense not being given the death penalty. Su Yin is a wealthy, self-appointed criminal matriarch who thinks herself above the law and attempted to murder a head of state she raised since she was eight with her own two children. We can lay the groundwork for people to choose their own greatness. ^Lol western powers. The irony is hilarious. Ok Omninaut, enjoy your anthem and praise Kuvira great woman of steel, I won't argue with you, I don't really think there is a point in doing so at this point. I am a spirit. An adrift soul ever strayed. Heaven lost I watch. Well given you've said the word "commie" multiple times, some good old fashioned McCarthyism seems right up your alley. The problem is there is no definite proof of Kuvira's popularity in the Earth Empire. We can say she is super popular by looking at her supporters but say that she is using coercion by proof of the prison camps, "other ways", and "forcing people to join her army". The other problem is we do not know how good Raiko's advisors are for Wu's reign. Either way Zafou was NEVER part of the "Earth Empire". Su was wrong for not stepping when she could've, but that doesn't make Kuvira right. She has no intention of "sharing the wealth", she wants it for HER empire. The most innovative city in the world with some of the most intelligent people around, I think she wants them for what they can do for HER, not for what they can do for their fellow man. Looking at the map, ZF is within the territory of two Earth States, earth States that signed loyalty to Kuvira. Kuvira has no other motives besides the Unification of the Empire. It's not like she's paying money on fancy food and spa dates. And given all the most intelligent and innovative of the city already left Su for Kuvira, Yin basically only rules the people who didnt have enough agency to just leave. No it isn't. Zafou is its own state. Kuvira even admitted herself. "Why should I treat it like any other state"
I'm actually seeing a red line around the location of Zao Fu, indicating it's entirely a state of its own. 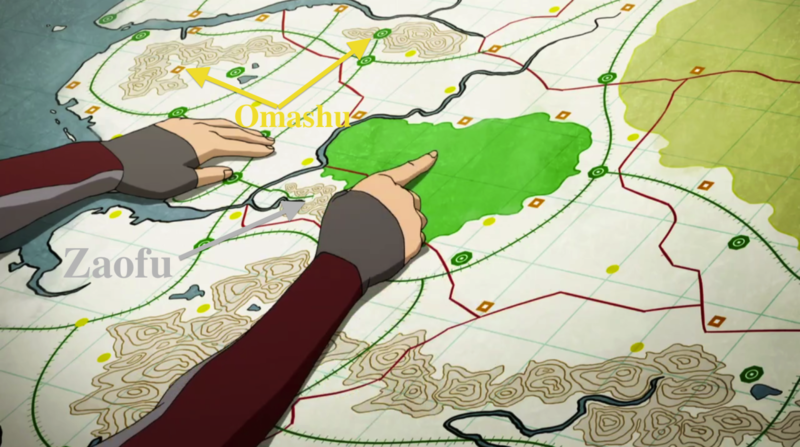 That same shape was still left open on Kuvira's puzzle map as well. Zaofu doesnt have a red line, it's just land bought within the borders of that bannada shaped state that has the bay and the big pointy state in the center. lol, scream McCarthyism at anyone who correctly identifies a problem. I don't know how many users I have already heard on this forum talk about Suyin "hoarding" or being greedy. It doesn't matter whether its called McCarthyism or not, Kuvira directly stated the beliefs of communism right to Korra's face. Anyone who thinks she is remotely in the right after all she has done and stated in this show clearly adhere to the exact ideals she does, which is to say communism. Its not McCarthyism (and this isn't really directed at you, but everyone), its the hard cold facts. Amon might have been the revolutionary form of communism (taking place in a capitalist nation), Kuvira is the military form of communism. 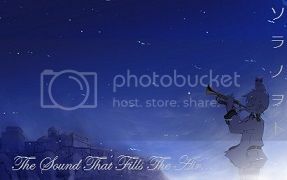 Its very fitting for the type of time period LoK is set in. Yes because Avatar maps are the most accurate and are immune to the fact Kuvira literaly said it was a state. Kuvira a communist? Debatable. More like Fascism or Corporatism or State-Capitalism since most of her original supporters were rich Zaofu citizens. More of a Chian-Kai Shek than a Mao. In a pejorative sense to end debates. It's immature namecalling. You don't see me sardonically posting Ayn Rand or Cliven Bundy references. I never linked you to Sudden Broach ebooks or called you a randroid. So I'd prefer the same respect given to me instead of blanket tossing around of words like you know what they mean. Ok finally that pitcure I promised. Here's a thought: if Su was under the impression that assassinating Kuvira would solve everything, why not go along with the treaty, lure Kuvira into a false sense of security, and take her out when the opportunity presented itself? Hell, if you aren't worried about immediate retaliation, why not try to kill/capture her while she's standing in your living room? Su picked the absolute worst option possible at the worst available opportunity at the expense of everybody involved. No matter what happens to Zaofu from this point on, it's clear that Su shouldn't be anywhere near a leadership role after this. Kuvira is definitely fascist. Fascist states are defined by authoritarianism, militarism, nationalism, and imperialism. She's definitely the first 3, and arguably the 4th (or at least, she will probably become imperialistic). Because like it was said, Su Yin is a coward. She wouldn't risk attacking her head on like like that. it's whys he ganged up one hr 3 on one when she thought she was asleep. As was said before, there is no consensus on what fascism actually is. it's just a buzzword thrown around on Fox news and internet chat rooms. You'd be better off counting how many angels dance on the head of a pin. Its not blanket name calling to say her ideology communist. Its calling it what is is based on what she specifically said she planned to do with Zaofu. Without getting into huge technical debates, most equate fascism with Mussolini's Italy and Hitler's Germany. Both of those regimes were highly authoritarian, intensely nationalistic, militaristic, and imperialistic. If your problem is with the word 'fascist', whatever. But Kuvira and her government undeniably have the traits I just listed. Kuvira seems to fit the Fascist trend since her supporters are both upper and lower class.